Search results for "TV Easy"
Streaming videos from your mobile to your television set is about to get a whole lot easier–and the ease of use doesn’t include either Apple or Google TV products. In fact, it’s a whole new device, which is effectively being called an app-cessory. Imagine a world where you simply plug in a USB Dongle and control the content with your mobile phone. This new app-cessory is called Plair, and it aims at not only solving the problem of sharing digital media through your television set, it looks to make it easier and painless. Developed by NewDealDesign, the Plair is a WiFi enabled HDMI dongle that can connect to any television set with a spare port handy. Then by using an additional iOS or Android OS app which is free to download, users can instantly stream photos and videos stored on their devices straight to their TV. The device not only streams content stored locally on your device, but it also has the ability to pull video content from popular sources like YouTube, CollegeHumor, CNN, or your favorite catch-up TV service. It can also access content stored in the cloud, meaning you can easily save videos and content for later when your guests arrive. The Plair is currently in beta-testing stage, but should be available sometime in 2013. In face of competition from Chromecast, an all new Plair 2 stick has now been released. 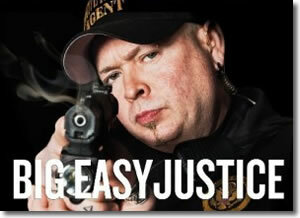 Big Easy Justice returns to Spike TV on Monday, July 23rd. Eight brand new episodes will be staged back to back on Mondays starting at 11.00/10.00c. Tat-2 gets ready to hit the streets of New Orleans all over again in this series. The unscripted original series of Spike TV centeres on the gritty underworld against the background of post-Katrina New Orleans where Tat-2, the main character of the TV show is the top dog bounty hunter. In these new episodes the legendary bounty hunter hunts down some of the most elusive criminals in the city bringing them back into the arms of justice. Each of the brand new eight episodes would be half an hour in duration with back to back airing at 11.00 and 11.30PM, ET/PT. Gene Thacker; nicknamed Tat-2 in the show is dedicated to one and only one mission in life. The pronounced mission is keeping the city safe keeping the criminals off the streets. Personal background of Tat-2 is ideal for the job as he was military veteran and former police officer from office of the Sheriff of Jefferson Parish in Louisiana. The Fearless mercenary would not hesitate to utilize any means that could be physical or psychological; to apprehend the identified prey. In an action period covering 12 years, he has been instrumental in bringing back over 10,000 fugitives to jail covering robbers, murderers, drug dealers, assaulters and even those getting involved in domestic abuses. Viewers waiting for the return of the legend can join conversation over @SPIKE_TV on Twitter and using #BigEasyJustice. Streaming lovers who like to play online content on the big TV will be pleased to hear that LG have teamed up with Intel and will be embedding Intel’s WiDi Wireless Display within LG Cinema 3D Smart TV sets.This will allow no internet and wireless HD instant streaming from compatible devices. The Intel WiDi technology does not require a WiFi connection to stream content from mobile devices to the 3D Smart TVs as the system connects via the embedded chips, a bit like Blutooth. It will negate the need for plug-in TV adapters which were previously needed and cost around $120, to stream from mobile device to TV set. But now as long as your mobile phone, tablet or laptop is WiDi enabled, viewers can easily watch HD content including Blu-ray and online videos. Even better news for viewers that like to surf the web and watch TV at the same time, the WiDi system does not clog up all the bandwidth, thereby making web browsing and watching TV all the more enjoyable. 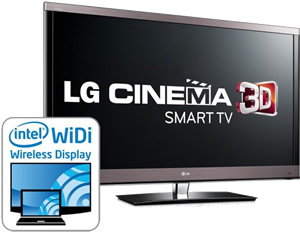 LG is the first maker to launch Intel WiDi on its TVs, The new LG Cinema 3D Smart TV sets with integrated WiDi will be showcased at CES 2012 next month. But unfortunately no information on pricing or worldwide availability has been released as yet, but as soon as information comes to light we will keep you updated as always. Anyone for Windows on TV? While everyone is getting excited about internet connected television sets allowing users to stream internet content onto their tv set. Phillips have gone back to basics, and developed a Wireless Media system allowing you to wirelessly send those same internet streams from your laptop onto a compatible Philips television set. software on their pc. Once a connection between the two devices, the television screen shows the same as is on the laptop screen. Clever Phillips have also automatically sent the audio from the laptop to the TV. The wireless media system doesnt just need to be used for tv streams, photos and other media can be shown on the tv, plus HD streaming can be sent directly to the TV from either local media on the laptop or via the web. The content travels between the TV and a laptop using standard Wi-Fi connections and a home network. The slimline 7700 Series LED televisions are available as we speak, the Philips Wireless Media Connect technology won’t be available in the TVs until September. The technology will be available in the BDP7320 Blu-ray player ($230) around October time. Up until now, connecting your pc to tv has always involved wires and cables. Could it be that viewers rather than wanting widgets and apps, just yearn for a good old easy way to connect their pc to tv? 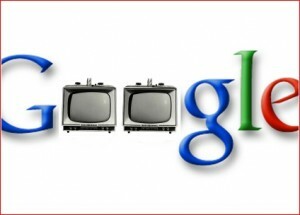 The inevitable Merging of the traditional tv and the internet has not been lost on Google. Already taking a hold over every market on earth, they have yet to enter the tv or online tv market. But now they have partnered with Dish Network, and are trialling a new search service that makes finding your tv shows from both the internet and tv much easier. Could Google take over your tv set? Google have started to integrate its search technology to your television set in partnership with satellite television provider Dish (DISH). The new system will run from a set-top boxe incorporating custom software letting users search for shows and content from online sources. They (Google) will not get much help from the cable networks who will be wary after seeing Google make a big impact into the mobile phone industry with the Android operating system. Android has done well gaining market share, which poses a threat to other handset OSs. Android is now being pushed as software for TV set-top boxes. But is a Google search service needed? 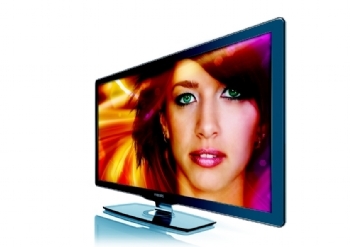 The market is already crowded and existing Cable and iptv delivered products have their own programming guides and software which do the job perfectly. Could it be that Google are trying to take over a market that doesnt need its search services. While we enjoy the little things in life and wallow in the routine and the familiar, we tend to forget some of the important stuff. Small items that are also very important such as watches, laptops, mobile phones and wallets gets misplaced and before you know it, they’re missing. 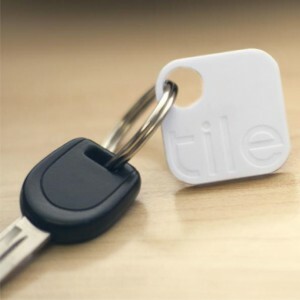 Tile has found a way to help you keep track of your things without having to think about them all the time. Introducing the Tile Tracker! It is a fixed double sided adhesive object that you can stick on anything or hook it to your keychain in order to track the exact location of your important items all the time. By using the Tile app which is exclusive to iOS devices, the app itself will automatically notify you if either you or your personal belonging is getting left behind or being taken away from you. This little gizmo is quite amazing even though at first it may seem insignificant, it has Bluetooth connectivity that links with your iPhone or any iOS device and it also has a GPS locator. This solves the problem of keeping track of your things and a worry less life is a wonderful life. 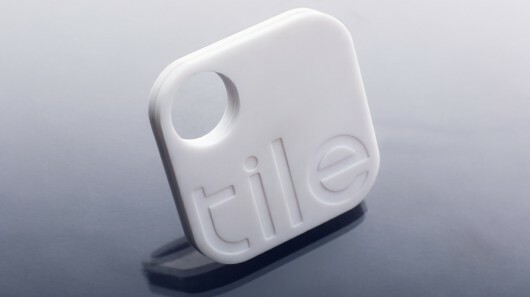 Since Tile is using Bluetooth 4.0 it only works with the latest generation of iOS devices such as the iPhone 5, iPad mini, iPad 3, iPad 4 and iPad touch 5; and what’s more amazing about Tile Tracker is that you don’t have to worry about recharging it, because according to the developer will continue to function for up to one year from its activation date. The range of the Tile Tracker is approximately 100 – 150 feet radius which is huge considering the size of this device, it’s almost unbelievable, but we’re in 2015 now, so try to get over it. If in case your personal belongings got out of range, a crowdsourced solution website called Reveal Labs will help you find you lost items via homing in on the Tile Tracker device that’s unique to your iOS device. 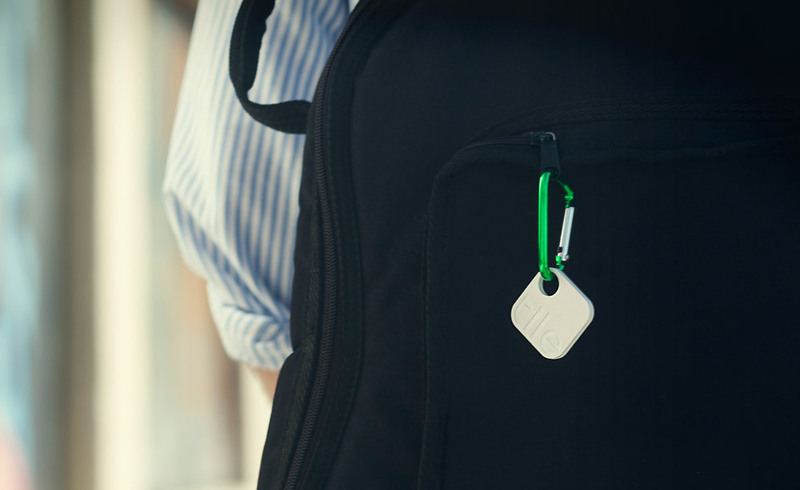 Reveal Labs will find the nearest iOS device to your lost/misplaced item and then notify them through the Tile app and in turn, the iOS device user will notify you exactly where your personal belongings are. Nifty trick, isn’t it?! Because the Tile Tracker uses a very small amount of energy, which is surprising since it’s using Bluetooth 4.0, you can use it 24/7 for up to 11 months, and the developer will send you a notification to have your Tile Tracker replaced. The iOS app will give you accurate details about the distance of your personal belongings from where you are and it also points you in the right direction, so you can easily find your items. By simply tapping on your iPhone app the Tile Tracker will ring which will guide you to its ringing sound and help you find your stuff. If the reverse were to happen in a worse case scenario and your iPhone is the one that got misplaced, then you just simply press the Tile Tracker device and this time it’s your phone that will ring. The real GPS (Global Positioning System) will cost too much to install in the Tile Tracker, not to mention that no GPS uplink will fit in its dimensions, so Tile came up with an inexpensive way to zero in on any Tracker and it’s called Crowd GPS. It works with the assumption that there are a few Tile Tracker users that are moving in a given space and each one will transmit and receive signals to and from your unique Tracker. Once your Tracker has been identified, it will notify you exactly where your lost item is with reference to the nearest Tile Tracker user. It’s almost like a high-tech eco-location of some kind. Now you won’t have to worry about leaving things behind, because the separation alert will remind you the instant you leave it. This Tracker is made of anodized aluminum. The Tile is pretty affordable, each Tile costs $25 only and looking at its advantages it is highly recommend for use rather than losing $250 in your wallet, you credit cards, your IDs and other valuables. In the future Tile will use a battery-less sensor for their Trackers, so that there will be no need for replacement parts or recharging, but for now you can enjoy the Tile Tracker just the same as it has really cool features.